Since debuting in 2004, Edgar Wright has cornered the cult movie market, with each of his four films — “Shaun of the Dead,” “Hot Fuzz,” “Scott Pilgrim vs. The World,” and “The World’s End” — each earning rave reviews and a devoted following. Unfortunately, that hadn’t converted to success at the box office… until now. 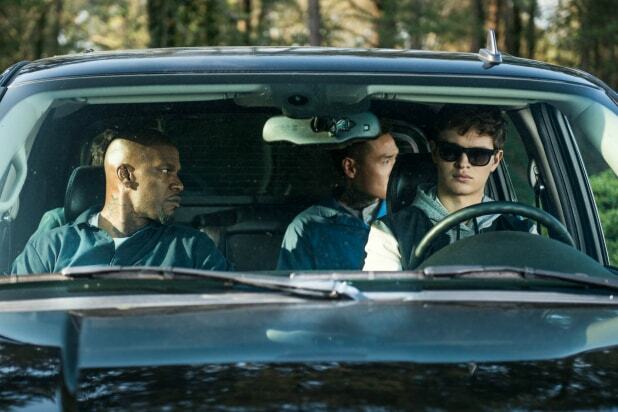 This weekend, Wright found his first box office winner in “Baby Driver,” a jukebox action film starring Ansel Elgort as a music-loving getaway driver, and Kevin Spacey, Jon Hamm, Eiza Gonzalez and Jamie Foxx as the bank robbers he reluctantly works for. Distributed by Tristar and produced by Working Title, Big Talk Productions and MRC on a $34 million budget, the film was expected to gross just $15 million to $20 million from a five-day opening starting this past Wednesday. Instead, it has outperformed expectations with a $29.5 million bow ($20.5 million weekend). With a $36.5 million global start, “Baby Driver” is on its way to becoming Wright’s highest-grossing film, a record held by “Hot Fuzz” with just $80.5 million. The weekend return alone for “Baby Driver” is double that of the $10 million made by “Scott Pilgrim,” which before this weekend had been the best opening weekend for a Wright film but didn’t save that movie from bombing with a $47 million cume against a $60 million budget. 1. A bold release date choice. “Baby Driver” had been a top priority for Sony Pictures since it was added to their slate late last year, and the studio kept moving the release date for the film around to find the best opportunities to maximize awareness. The film was originally slated for a March 17 release, but was moved to August to avoid competition with “Beauty and the Beast.” Then, rather than keep the film in an August slate that is lacking in major tentpole releases, Sony made a bold move and put the film in the last week of June to capitalize from the Tuesday July 4 holiday. But before it can drive into the sunset, “Baby Driver” will have perform in holdovers against a very competitive and franchise-filled July, which will kick off in earnest this Friday with another Sony title, “Spider-Man: Homecoming.” But Sony believes the numbers show that there’s money in a market that “Baby Driver” can satisfy but Spidey can’t. 2. A thirst for original movies. With other studios like Disney, Universal and Warner Bros. owning a stable of intellectual property, Sony has gone an alternate route. Instead of putting all its resources in the franchise arms race, in recent years it has focused on developing a series of original films that can provide high breakout potential while keeping costs down. The venture has paid off so far, with successes prior to “Baby Driver,” including the $9.9 million horror film “Don’t Breathe” ($157.1 million global gross) and Seth Rogen’s risqué, $19-million animated comedy “Sausage Party” ($140.7 million global). Of course, to quench the thirst of moviegoers desperate for a movie that isn’t a sequel or based on a comic book, Sony has to let them know it exists. Fortunately for them, there’s a festival that has played a heavy factor in their marketing strategy for “Baby Driver,” and also played a key role in raising awareness for “Sausage Party” as well. Last year, Sony got the ball rolling for “Sausage Party” by screening a work-in-progress cut of the film at South By Southwest in Austin, which left the audience roaring with laughter and helped set a firm word-of-mouth base that kept building in the months leading to its August release. A similar trend occurred this year when Sony brought Wright and “Baby Driver” to Austin this past spring, with critics and audiences alike praising the film after its SXSW screening. Critics were unanimous in their positivity, giving the film a 100 percent Rotten Tomatoes rating coming out of the festival that has since been certified “Fresh” with 97 percent. Festival attendees, meanwhile, voted for the film to receive the Headliner Award at SXSW’s end-of-festival audience awards. With its reputation as a showcase for indie, genre, and auteur-driven films, it’s likely that SXSW will continue to play a major factor in Sony’s promotion plans for this original film campaign. 4. Ramp-up chatter all positive. With a high Tomatometer score in hand, Sony embarked on a marketing campaign for “Baby Driver” that aimed at younger audiences and digital platforms. By keeping it to digital, Sony was able to keep costs down and specifically tailor marketing material to potential moviegoers with different interests. Some promos were made with emphasis on the film’s car chases to grab the interest of gearheads. Others were aimed at fans of each cast member, such as “House of Cards” fans who would be interested in seeing Kevin Spacey’s next film. With Wright’s witty script giving each star plenty of memorable moments, TriStar’s marketing team had plenty to pick from. Sony also hyped up the musical nature of the film with a remix trailer set to The Jon Spencer Blues Experiences “Bellbottoms,” the song used for the film’s opening car chase. Also Read: 'Baby Driver' v 'Guardians of the Galaxy': Which Has Best Soundtrack of Music That Mom Liked? 5. Edgar Wright is a household name. But while all the elements of “Baby Driver” that Edgar Wright assembled were used to promote the film, just as big a marketing factor was Wright himself. Between “Scott Pilgrim” and his “Cornetto Trilogy” collaborations with Nick Frost and Simon Pegg, the director has become a recognized name with a legion of millennial film buffs. This raved-about horror movie imagines something that's even worse than the end of the world. If you're afraid of sharks, you might never swim in the ocean again after seeing this movie. This movie takes place during the Civil War at an all-girls school. When a wounded Union soldier shows up, things take a dark turn. A family unwittingly moves into a haunted house. A recently-deceased ghost tries to reconnect with his wife. A movie adaptation of Stephen King's book series. An orphanage becomes the target of a possessed doll. Pennywise is back in this remake of the 1990s miniseries -- based on a Stephen King novel. Who said thrillers and horror movies are only for Halloween? ‘Baby Driver’ v ‘Guardians of the Galaxy': Which Has Best Soundtrack of Music That Mom Liked?